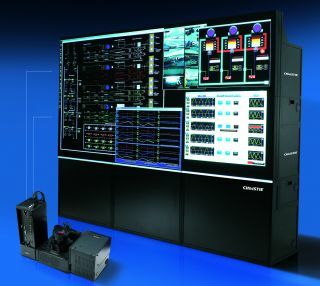 Christie, a global leader in visual solutions has introduced the new Christie Entero LED, the world’s first LED-based, SXGA+ and WUXGA resolution projection display system, purpose built for control room and videowall applications. This LED-illuminated, 1-chip DLP product line offers a “zero maintenance” design. The LEDs are rated at more than 50,000 hours – over five years of dependable operation. With no consumable components such as lamps, filters or color wheels to replace, the Christie Entero LED delivers the ultimate in uninterrupted, 24/7 performance for exceptional reliability and low cost of ownership. Utilizing the new generation of solid state LED technology, the LEDs retain their color spectral characteristics longer, and images remain vivid and sharp through the years. As the RGB LEDs are sequenced at higher rates than mechanical color wheels, the Christie Entero LED provides more accurate color matching and a wider range of brightness control and adjustments while minimizing visible artifacts.